Tough Runner UK is very excited to introduce a brand NEW race for 2019; The Wales Duathlon will be in the leafy suburb of Penarth with a backdrop of the breath-taking Penarth Pier. 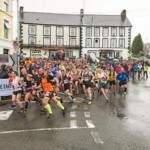 The Cardiff Epic Trail 10k is back! Join Tough Runner UK team on July 7th, 2019 in the stunning Fforest fawr park. The JCP Swansea Half Marathon is OFFICIALLY THE UK’s BEST HALF MARATHON!!!!! We are back for the 5th Edition as we look to #RunSwansea again on the 24th June 2018. The SUBWAY Helping Hearts™ Family 5K series is bouncing back to Newport for 2017! With lots of free and fun entertainment including face-painting, games and a bouncy castle, it’s the perfect day out for the whole family to enjoy! The SUBWAY Helping Hearts™ Family 5K series is bouncing back to Tredegar Park for 2016! With lots of free and fun entertainment including face-painting, games and a bouncy castle, it’s the perfect day out for the whole family to enjoy!